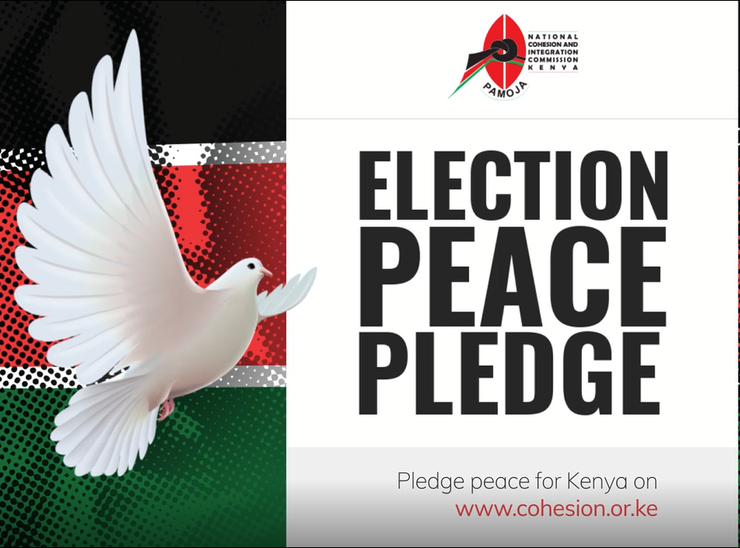 In 2017, the Independent Electoral and Boundaries Commission (IEBC) of Kenya, with the support of the International Foundation for Electoral Systems (IFES) and the United States Agency for International Development (USAID) produced voter education videos, providing information on voter registration. The video is available in Kiswahili. Transcripts in English and in Kiswahili of the video are below. Oh God of all creation. Blessed is our homeland. Justice be our shield and defender. Without peace, all of our voices are silenced. May we build our nation. Yes, in common bond united. Kenya is worthy of respect and glory. Gather hands, let’s work together. Every day we should be thankful. Let your voice be heard. Ee Mungu nguvu yetu. Llete baraka kwetu. Haki iwe ngao na mlinzi. Without peace, all of our voices are silenced (No Kiswahili text in video). Natujenge taifa letu. Ee, ndio wajibu wetu. Kenya istahili heshima. Tuungane mikono, pamoja kazini. Kila siku tuwe na shukrani.